If you want to apply for any test of National Testing Service and want to download application or register your self online then now you are at the right page. NTS form download and NTS online registration facility is available on this page. Click the link given below for this purpose. This link will take you to your destination. On that page click the project for which you want to apply and download your required form from the page of that project. Online registration link will also be available on the pages of some specific projects. You may also download the online fee deposit slip from the page of your concern project. First fill the fee deposit slip and deposit the fee in the any online branch of HBL, MCB, UBL or ABL within the due date. Then fill the application in the light of instructions given below. 1-If possible then type the application otherwise fill the application with black ink. 2-Use block letters in all the columns. 3-Spelling of your name/father’s name must be accurate as per your degrees and CNIC. 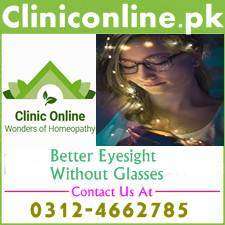 4-Mailing address, email address, phone numbers should also be accurate for future contact. 5-Attach the original bank deposit slip and attested copy of CNIC with application. 6-Also paste your required number of photographs with application. Affix photos with gum as stapled photos can be lost. 7-Your form must be complete in all respects as incomplete forms are rejected by National Testing Service. 8-Send the application on the postal address of National Testing Service’s headquarter. Kindly send your applications well before the last date, as National Testing Service do not accept any late application, even the delay from postal service is not considered a valid excuse. Here is the link you were looking for. 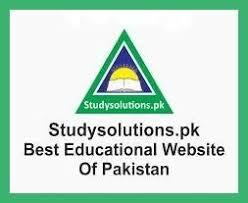 Her want to clear it although you can get the result answer keys, roll numbers, NTS form download, job alerts and mobile number from studysolutions.pk but we also help you in test preparation. Our test category contains the solutions of your all problems. Our quick response team also try to guide each visitor of our website individually. So take this site as your friend and guide. We shall try to guide you to best of our knowledge and limits. So visit us and our facebook account daily for latest alerts about National testing Service. We wish you all the best for your future career.